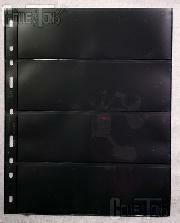 All of our stamp stock pages and stamp binders are manufactured by Lighthouse, the industry leader in stamp supplies. 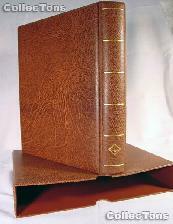 Lighthouse has put together several different systems of stock pages and binders. The Vario system consists of both 4 and 3 ring binders and matching slipcases with different types of compatible pages and interleaving. 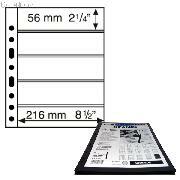 The Vario system is very versatile and economic with more overall page space than the Optima systems. Vario binders and slipcases are ideal for displaying your mid-size philatelic items without leaving excess space, especially mint sheets and first day covers. 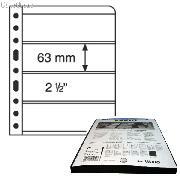 Vario pages measure 8-1/2 x 11" and are available in double-sided black background or single-sided clear pages with up to 3 vertical and up to 8 horizontal pockets of varying dimensions. 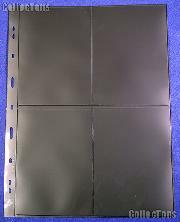 Black interleaving is available to enhance the presentation of clear pages or simply separate the contents of the album. 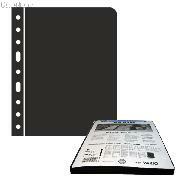 Vario-F & Vario-G binders are available in Red, Blue, Green, Brown & Black. 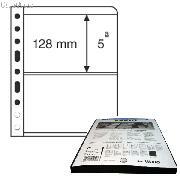 Lighthouse Vario pages are available in double-sided black (S) or single-sided clear (C) pages. Lighthouse Vario-PLUS pages are a stronger, stiffer version of the standard Vario S pages. All feature crystal-clear pockets in varying dimensions and have an overall size of 8-1/2 x 11" (216 x 280mm), slightly smaller than A4. For mint sheets or covers. For matched blocks. 2 pockets across, 2 pockets down. For first day covers & postcards. For blocks or large stamps. For telephone cards. 2 pockets across and 4 pockets down. The Optima system consists of 4-ring binders and matching slipcases with different types of compatible pages and interleaving. The smallest of all of the Lighthouse systems, Optima binders and slipcases are ideal for displaying your smaller philatelic items without leaving excess space, especially mint sheets and first day covers. 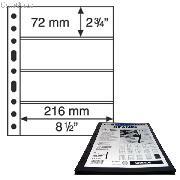 Optima pages measure 8-1/4" x 10" and and are available in double-sided black background or single-sided clear pages with up to 3 vertical and up to 7 horizontal pockets of varying dimensions. 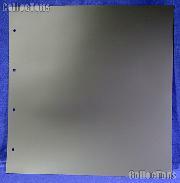 Black interleaving is available to enhance the presentation of clear pages or simply separate the contents of the album. 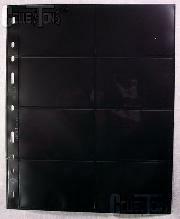 Optima-F & Optima-G binders are available in Red, Blue, Green, Brown & Black. 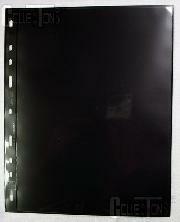 Lighthouse Optima pages are available in double-sided black (S) or single-sided clear (C) pages. All feature crystal-clear pockets in varying dimensions and have an overall size of 8-1/4 x 10" (202 x 252mm), slightly larger than A5. For smaller American, Canadian & European sheets. For American, Canadian and many European first day covers & postcards. 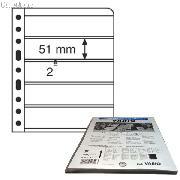 For vertical souvenir sheets and wider strips of stamps. 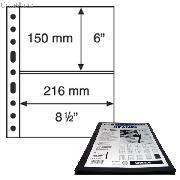 For American and Canadian plate blocks. 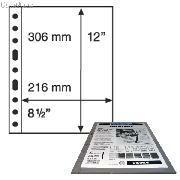 For smaller American plate blocks. 2 pockets across & 4 pockets down. 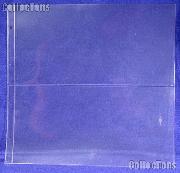 For American and Canadian booklet panes as well as telephone cards. For smaller (definitive) American, Canadian and worldwide stamps. For "German First Day of Issue Certificates" (ETB) or A5 stock cards. 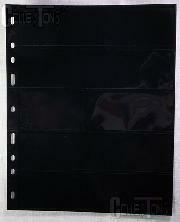 Double sided, Smoked background with clear pockets. 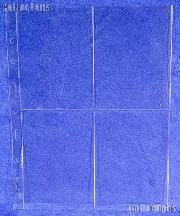 Single sided white stock page with eight spaces to write notes. Suited for writing content descriptions of stamp booklets and phone cards. The Royal system consists of 4-ring binders and matching slipcases with different types of compatible pages and interleaving. A larger binder of the Lighthouse systems, Royal binders and slipcases are ideal for displaying your larger philatelic items, such as U.S. sheets and #10 envelopes. 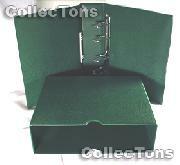 Royal Binders are heavy duty and very durable, making them perfect for your expensive and delicate items. They can also be used for scrapbooking. 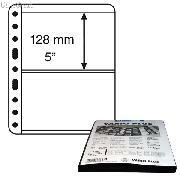 Royal pages measure 10-1/2 x 11-1/4", are double-sided, have crystal-clear pockets and a black background, and have 1 to 2 pockets per page. 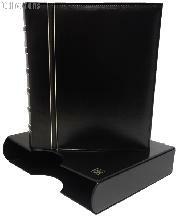 Royal Binders are available in Red, Blue, Green, Brown and Black. 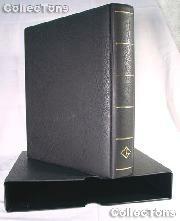 Lighthouse Royal pages are available in double-sided black pages. 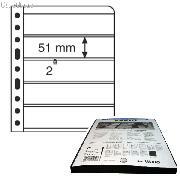 All feature crystal-clear pockets in varying dimensions and have an overall size of 10-1/2 x 11" (216 x 280mm), 2 inches wider than the Vario pages. 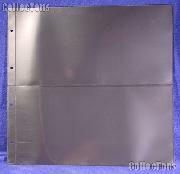 For full American and Canadian sheets or any other oversize miniature sheet. For full first day covers or large letters. The Grande system consists of 4-ring binders and matching slipcases with different types of compatible pages and interleaving. 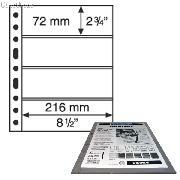 One of the larger of the Lighthouse systems, the Grande binder is extremely durable and ideal for displaying your larger stamps, stamp booklets, Mint sets, as well as postcards, prints and postal stationary. Because of its size Grande binders are also great for scrapbooks. 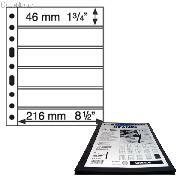 Grande pages measure 9-1/2" x 12-1/4" with up to 2 vertical or 4 horizontal pockets of varying dimensions. This binder is also compatible with pages from the Vario system as well as any standard A4 clear punched pockets. 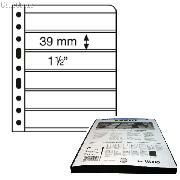 Grande pages are available with single-sided clear pages or double-sided pages with a black background. 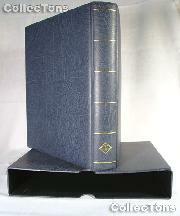 Black interleaving is available to enhance the presentation of clear pages or simply separate the contents of the album. 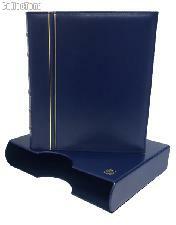 Grande Classic binders are available in Black, Burgundy, Forest Green & Royal Blue. Grande-F binders are available in Red, Blue & Green. Grande-G Classic binders are available in Burgundy, Blue & Green. 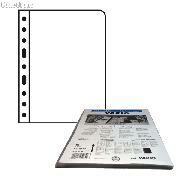 All of the Vario Pages are compatible with the Grande binders! 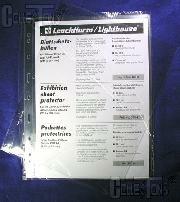 Lighthouse Grande pages are available in double-sided black (S) or single-sided clear (C) pages. 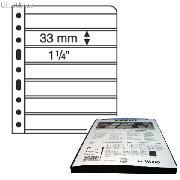 All feature crystal-clear pockets in varying dimensions and have an overall size of 9-1/2 x 12-1/4" (240 x 312mm), 2 inches wider than the Vario pages. 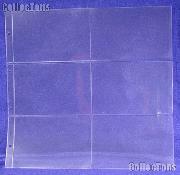 For sheets of stamps or larger sized philatelic items. 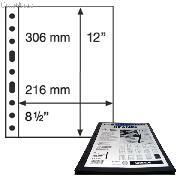 For larger American and worldwide vertically oriented plateblocks as well as souvenir sheets. 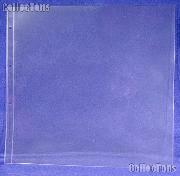 For horizontally oriented covers and philatelic items. For horizontally oriented strips and blocks. 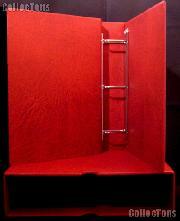 Maximum binders are available in Red, Blue & Black. Lighthouse Maximum pages are available in double-sided black (S), double-sided white (W) or single-sided clear (C) pages. All feature crystal-clear pockets in varying dimensions. 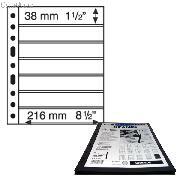 The MAX1 has overall dimensions of 13-3/4 x 13-1/5" (350 x 335mm) and is mainly for large mint sheets. The MAX2, MAX3, MAX7 & MAX ZWLN have overall dimensions of 13-34 x 13-1/5" (350 x 335mm) and are mainly for contemporary postcards. 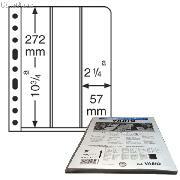 The MAX5, MAX6 &MAX ZWLA have overall dimensions of 12-3/4 x 13-1/5" (325 x 335mm) and are mainly for older postcards. For large mint sheets & scrapbooking. Maximum 1AS & 1AC open on the ringside as well as the top. 2 pockets across, 3 pockets down. For contemporary postcards, larger plate blocks, souvenir sheets, smaller 19th and early 20th century covers and scrapbooking. 3 pockets across, 2 pockets down. 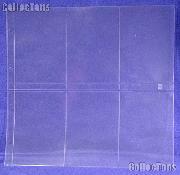 For vertical oriented postcards, larger plate blocks, souvenir sheets and scrapbooking. 2 pockets across, 3 pockets down. For vintage postcards, from inception to the linen era, as well as scrapbooking. 3 pockets across, 2 pockets down. For vertically oriented vintage postcards, from inception to the linen era, as well as scrapbooking. 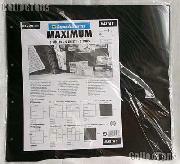 For extra large covers, contemporary postcards and scrapbooking. Interleave for MAX1, MAX2, MAX3, & MAX7 pages. Interleave for MAX5 & MAX6 pages. Lighthouse GRANDE 2ST Stamp Stock Pages- 5 Pages $6.09! Lighthouse OPTIMA 4S Stamp Stock Pages-10 Pages $11.69! Lighthouse GRANDE 1S Stamp Stock Pages- 5 Pages $6.09! Lighthouse GRANDE 4C Stamp Stock Pages- 5 Pages $6.09! 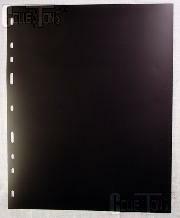 Lighthouse OPTIMA 1S Stamp Stock Pages-10 Pages $11.69! 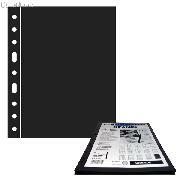 Lighthouse OPTIMA 4VS Stamp Stock Pages-10 Pages $11.69! 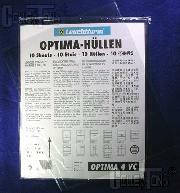 Lighthouse OPTIMA 4VC Stamp Stock Pages-10 Pages $11.69! Lighthouse GRANDE 7S Stamp Stock Pages- 5 Pages $6.09! Lighthouse GRANDE 2S Stamp Stock Pages- 5 Pages $6.09! 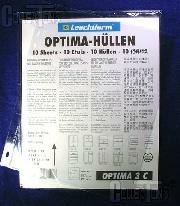 Lighthouse OPTIMA 3S Stamp Stock Pages-10 Pages $11.69! 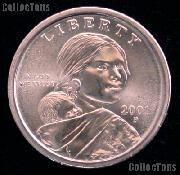 Lighthouse GRANDE ZWL Interleave Pages- 5 Pages $4.29! Lighthouse MAXIMUM MAX1AS Stamp Stock Pages- 5 Pages $13.49! 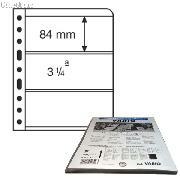 Lighthouse OPTIMA 5S Stamp Stock Pages-10 Pages $11.69! Lighthouse GRANDE 5S Stamp Stock Pages- 5 Pages $6.09! Lighthouse GRANDE 6S Stamp Stock Pages- 5 Pages $6.09! Lighthouse GRANDE 2CT Stamp Stock Pages- 5 Pages $6.09! Lighthouse GRANDE 1C Stamp Stock Page - 5 Pages $5.69! Lighthouse GRANDE 4S Stamp Stock Pages- 5 Pages $6.09! Lighthouse Exhibition Sheet Protector-5 Pages $8.99! 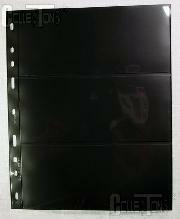 Lighthouse GRANDE 3S Stamp Stock Pages- 5 Pages $6.09!